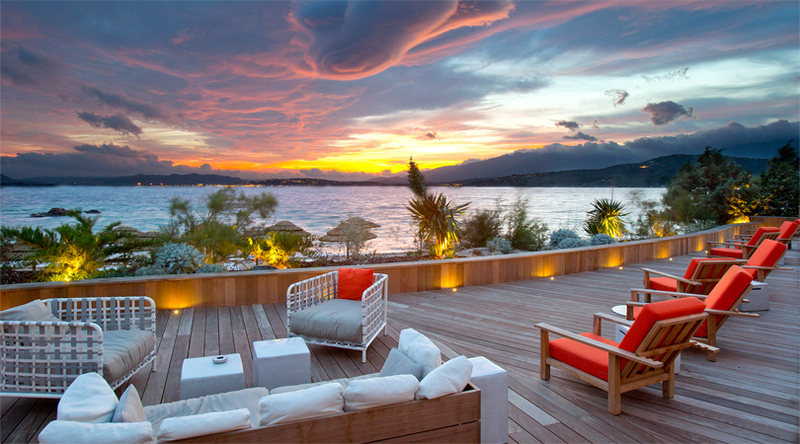 Islands invoke a heaven of dreams allowing you to get a relief from the bustling lifestyle of cities. The long stretches of sandy beaches, rustling palms and serene views of the blue ocean provide utter relaxation to the visitors. But all islands don’t create the same vista. The splendor of some islands is identified more by the sea that bounds them, which can enthrall the travel enthusiasts with its crystalline clarity and blossoming coral territory. There are some islands that create verdant green jungles and smooth peaks and captivate the travelers with their cultural as well as natural gems. Comprised of sublime beaches to spectacular landscape, these islands are located far from the everyday clamor and bring utter comforts in our life. There are plenty of beautiful islands in the world that are known for their own appeal. Explore best islands of the world from this list. Maldives is home to some of the most gorgeous islands of the world, but its marine life truly makes these islands more delightful. The crystal clear radiant aquamarine waters of this country rush upon these amazing white shores, which hardly glance above the Indian Ocean. The archipelago of Maldives consists of 26 natural atolls, which rise up to 3 meters above the sea and shrinks every year. Under the thrilling waters of this island, plenty of coral reefs grow and attract divers and snorkelers from all over the world. A huge number of surfers come to this place to take unhurried breaks. There are various lavish resorts that present the perfect beginning points for the adventures focusing on enjoying the bliss of the ocean. 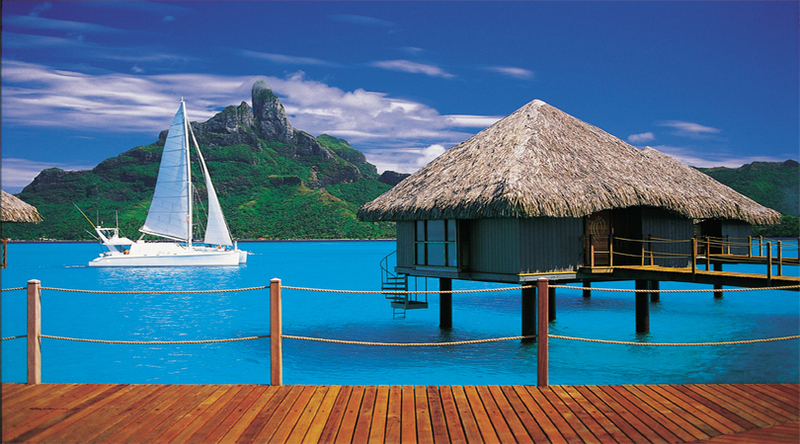 Bora Bora is a lush volcanic island, which is formed like a huge sombrero. This island holds a great place in the myriad fantasies of the South Pacific. 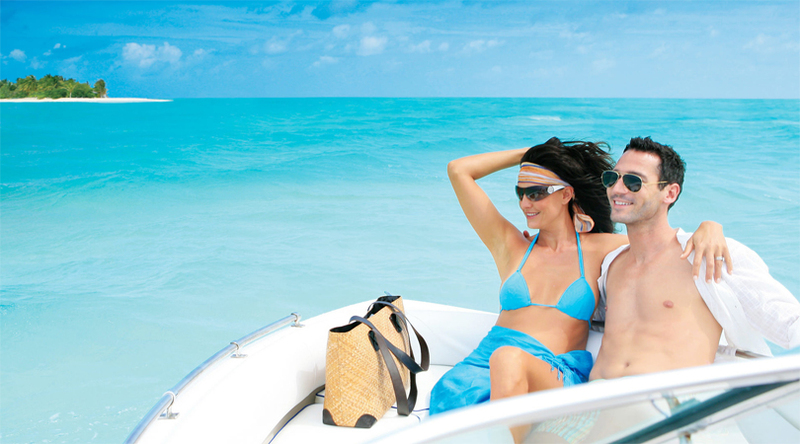 The main point and the greatest asset of this tropical island is its mesmerizing lagoon of turquoise blue shade. Countless marine creatures like fish, turtles, sharks and rays can be spotted in the clear waters of the lagoon. 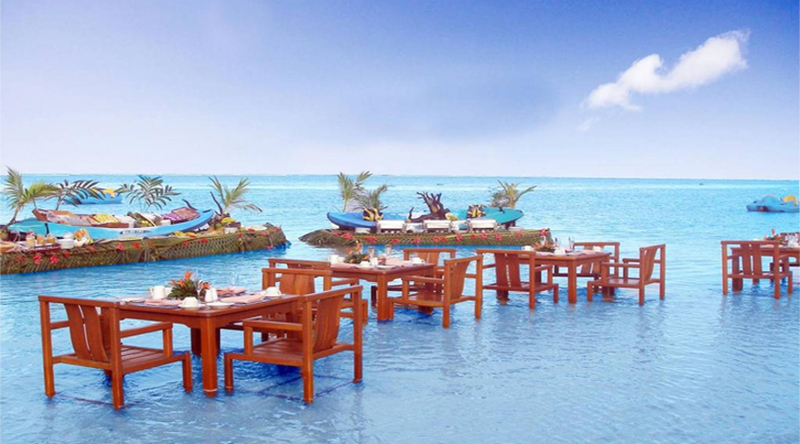 The island also stands apart due to serving the lip smacking cuisine to the visitors. Activities like diving and snorkeling are the best way to explore the surrounding reefs and hiking trails entwine through the woods dotted with palm trees. With the gentle breeze of the sea and awesome panorama of the surroundings, the place turns to be a real paradise. Palawan is the true heaven in the Philippines, which stretches southwest to Borneo with flourishing limestone peaks emerging from a gem like the crystal clear sea. On the upper surface of the ocean, one can even see the expressions of the fishes traveling on the water. The white sandy beaches of this island shine beautifully and crunching palms fringed over the sand create picture-perfect views. Under the water, coral reefs thrive with a striking diversity of tropical fish and offer some of the most incredible diving experiences of the world. Other attractions of the islands are its rare wildlife, bright green lakes and picturesque fishing villages. There are plenty of lavish resorts in Palawan, which are indulged into natural beauty and offer all modern facilities. Puerto Princesa Subterranean River National Park is a world heritage site and one of the best attractions of Palawan. 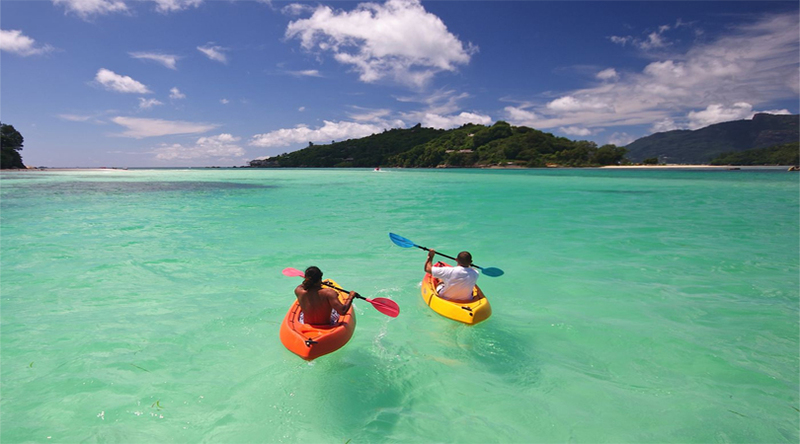 Seychelles is a pristine and picturesque island of the East of Kenya. This reasonably untouched archipelago is comprised of 115 coral and granite islands that feature jungles listed under UNESCO World Heritage Sites. The island is comprised of flourishing coral reefs and gorgeous beaches dotted by palms. About half area of these equatorial isles is protected and most of its islands are located within fish-rich marine sanctuaries offering brilliant opportunities for diving and snorkeling. Seychelles is also home to some of the best fishing grounds on earth, which make it an excellent destination for anglers. There are many other aspects that make Seychelles one of the most beautiful islands of the world. 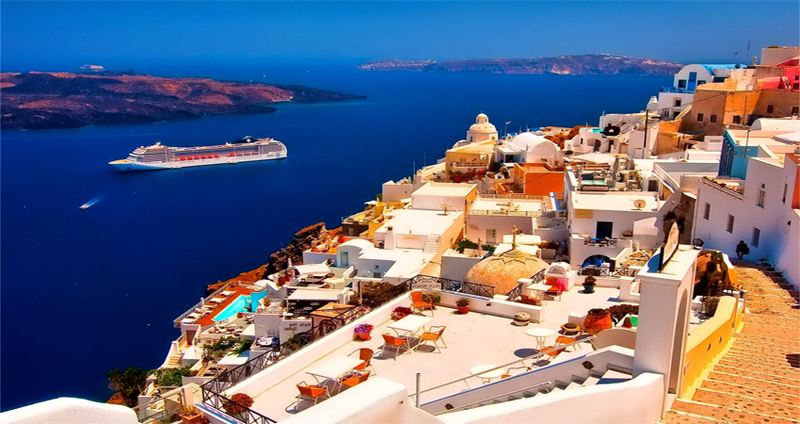 Santorini beautifully surrounds an ocean-filled caldera and enjoys top positions for spectacular natural beauty. There are outstanding white villas located just down the volcanic cliffs. The place also features blue-domed churches that create a perfect backdrop with the dazzling sea. The bright drenches of beautiful flowers enrich the beauty of this island. Located on the top of the black lava cliffs, Firá and Oia are the most picturesque and classy destinations of Santorini that attract ardent photographers from all over the world. Some of the major attractions in this island are Akrotíri Archaeological Site, Ancient Thira, Perissa Beach and sunsets. A visit to Santorini gives an incredible experience to the visitors. The amazing island of Bali is not only a visual treat for the tourists but also a feast for their soul. The place is indulged into an exhilarating culture along with offering true bliss of nature. There are incredible Hindu temples, lush green rice fields and the amazing food joints serving every taste bud in Bali to offer an enriching experience. In this exotic island, you can enjoy activities like shopping, sightseeing, sunbathing, surfing and swimming. Beyond the lush landscape of this isle, there is a spiritual part of Bali that makes you feel the actual pulse of this place. Explore the attractions, spend a relaxing time and come back with charming memories of this tropical paradise. 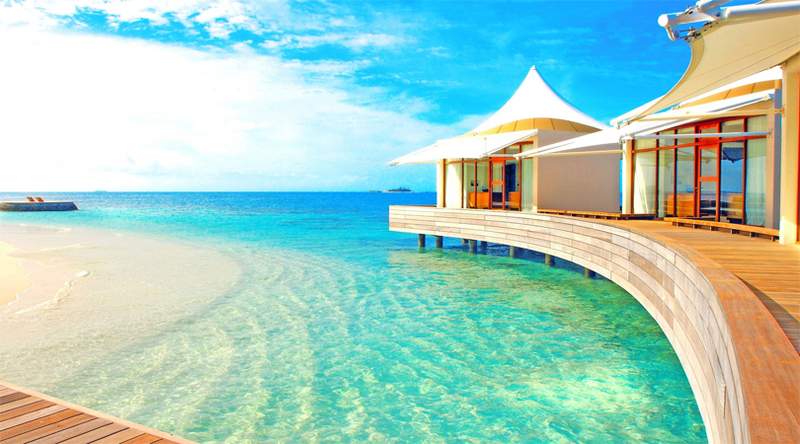 Fiji is one of the best tropical escapes of Australia that tops in the list of all the fantasies one can imagine. 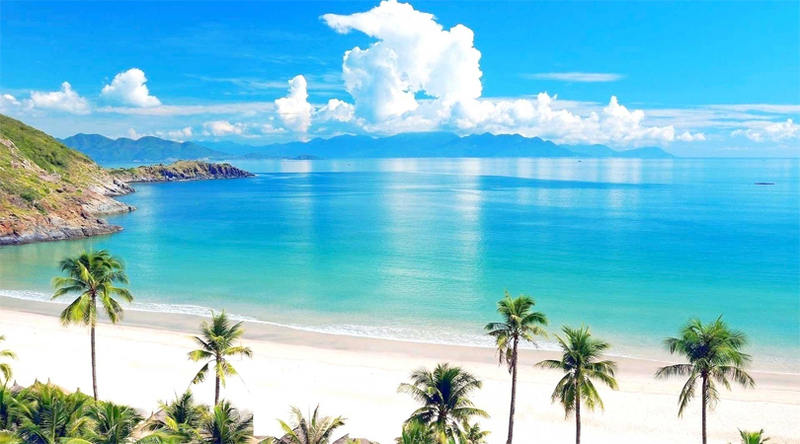 There is abundance of white sandy beaches, crystal clear turquoise waters and heaving coral reefs in Fiji. Another greatest aspect of this island is its people who welcome the guests wholeheartedly. Various fabulous activities like diving, snorkeling, fishing and surfing can be enjoyed here. Relaxing under a palm tree and swimming into the silky warm seas can be really gratifying. Fiji is home to more than 300 islands, including lavish celebrity hideaways to family-friendly resorts. Above all, it is a wonderful place for families looking for relaxation as the locals here are very much fond of kids. It would be unfair if Hawaii doesn’t get a mention while talking about the most beautiful islands of the world. Hawaii is a secluded volcanic archipelago of the Central Pacific. It features islands that are famous for their uneven landscapes of cliffs, waterfalls, tropical plants and colorful sandy beaches. There are 6 main islands in Hawaii and Oahu is the most popular among them. The only big city of Hawaii is Honolulu, which is home to the semi-circular Waikiki Beach and the famous Pearl Harbor. It is opted by a number of honeymooners due to thrilling nightlife and amazing spa facilities. Positioned along the very famous Great Barrier Reef, Whitsunday Islands is a classic tropical island dream in Australia. It features 74 lush green islands that are peaks of the hills rising above the noticeably blue Coral Sea. The most popular activity to enjoy in Whitsunday Islands is sailing and diving is an amazing experience along the coral reefs featuring plenty of fishes. One can also come across few of the stunning islands on hiking trails. The island features accommodation featuring beachfront campsites, eco-retreats and family resorts. Corsica is a hilly Mediterranean island, which offers a perfect blend of elegant coastal towns, dense woodland and craggy peaks. Monte Cinto is the highest summit of this land. It is an absolute miniature continent, which offers the visitors 9 diverse and varied travel zones. The place makes the visitors feel a million miles away from their busy schedule. About half of the island is positioned within a park which has challenging hiking trails. It has various types of beaches that are busy, remote and camping-friendly. The eye-catching landscapes, breathtaking monuments and heavenly beaches of Corsica make it an ultimate destination for relaxing and discovering the age old legacy of the country.